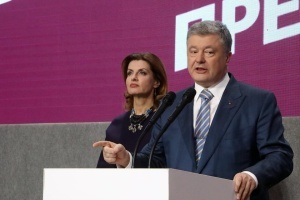 President of Ukraine Petro Poroshenko and President of Estonia Kersti Kaljulaid have agreed that the sanctions against the Russian Federation may be canceled only after full Russia’s implementation of the Minsk agreements and adherence to the international law. This is said in the joint statement of the two presidents made following their meeting in Tallinn, the press service of the Ukrainian Head of State reports. 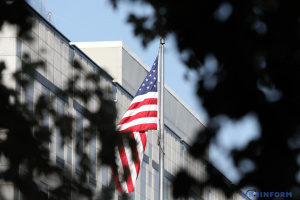 "The two presidents agreed that restrictive measures towards Russia can be lifted only when Russia adheres to fundamental principles of international law and implements the Minsk agreements," the statement reads. Petro Poroshenko and Kersti Kaljulaid underlined the value of cooperating closely in international fora including the UN, the Council of Europe and the OSCE. 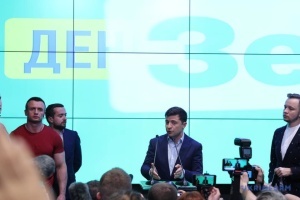 They emphasized the prospects for supporting each other’s candidatures and for implementing common priorities, such as supporting security and human rights in Europe. "President Kersti Kaljulaid has expressed continued support for the sovereignty and territorial integrity of Ukraine and Estonia's commitment to the EU's overall policy response to Russian aggression," the statement reads. 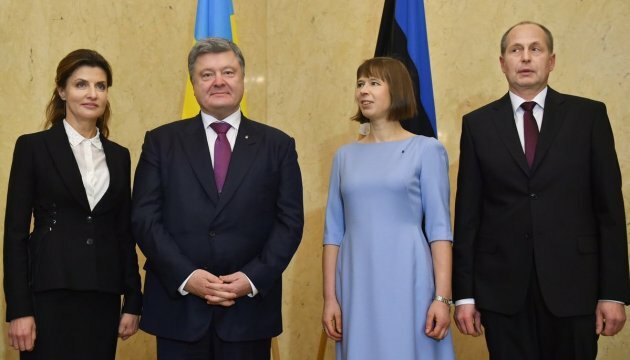 President Kaljulaid stressed that Estonia is a firm supporter of Ukraine’s further European and Euro-Atlantic integration. Estonia remains committed to advancing the Eastern Partnership, which will be a priority of Estonia’s upcoming Presidency to the Council of the EU in the second half of 2017. 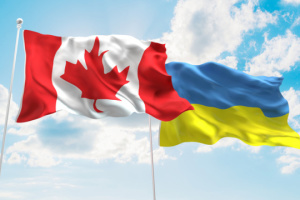 The Presidents called for a swift decision on granting visa-free travel to Ukrainian citizens, for which Ukraine has fulfilled all conditions.